Trips For Kids uses bicycles as a vehicle for lessons in confidence building, achievement, health, fitness and environmental awareness through the development of practical skills and the simple act of having fun. 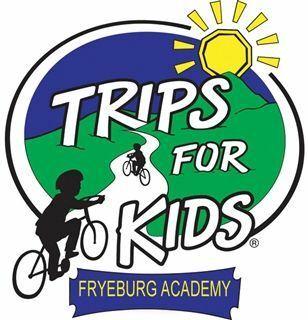 Trips for Kids Fryeburg Academy is a member of Trips for Kids® International a 501(c)3 nonprofit organization based in Marin County, California. 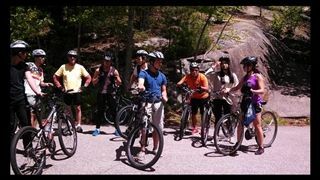 Founded in 1988 and now operating in over 80 locations throughout the United States, Canada and Israel, Trips for Kids (TFK®) International has opened the world of cycling to over 100,000 at-risk youth through guided mountain bike rides and job training/earn-a-bike programs. All TFK chapters, modeled on the foundation of the originalTFK Marin program, are managed and operated independently at the local level but share a common goal. Their mission is to use bicycles as a vehicle for lessons in confidence building, achievement, health, fitness and environmental awareness through the development of practical skills and the simple act of having fun. We would not be able to do the work we do without the generous support of our Trips for Kids International Sponsors (hyperlink to www.tripsforkids.org/national/sponsors.htm) and are proud to be working in partnership with these companies. Please join us in saying thank you by patronizing their business whenever possible.